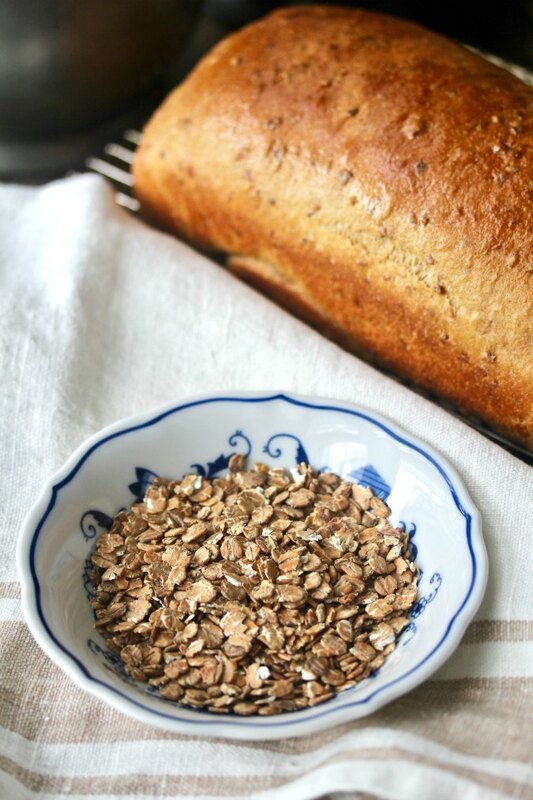 I've had these malted wheat flakes in my freezer ever since I made this Granary-Style No Knead Bread. Real True Confessions time? I have a collection of flours, seeds, grains, and other ingredients in my freezer that I probably should bake my way through before buying any new ingredients. These malted wheat flakes are imported from England. They're kind of pricy, but the bag goes a long way. I got mine from King Arthur Flour. 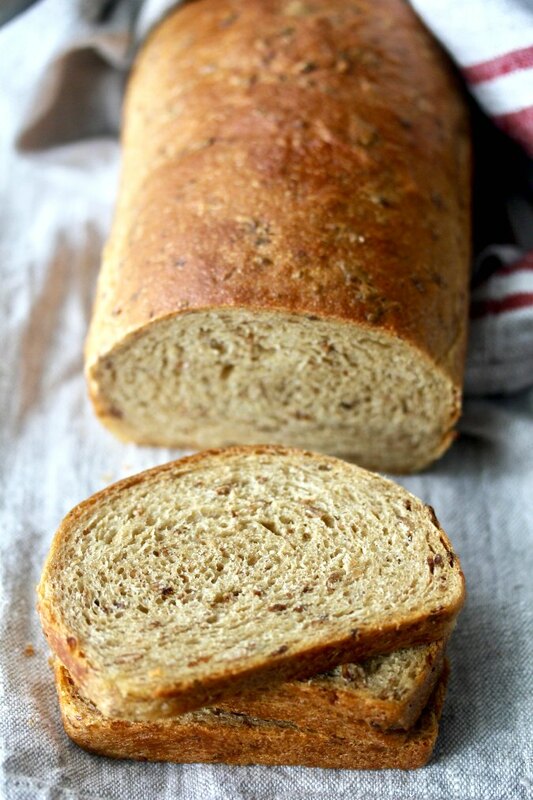 This granary bread is wonderful sliced for sandwiches and it is excellent toasted and buttered for breakfast. Serve it with some over easy fried eggs and dip it in the yolks, or top it with some bacon and a poached egg. The flavor of the whole wheat flour and malted wheat flakes holds up beautifully to the bacon and egg. While you can substitute the malted wheat flakes for rolled oats in many recipes (I'm thinking muffins and cookies), the King Arthur Flour Whole Grain Baking Cookbook also has some recipes that call for these wheat flakes that I can't wait to try. What ingredients are in Granary-Style Bread? 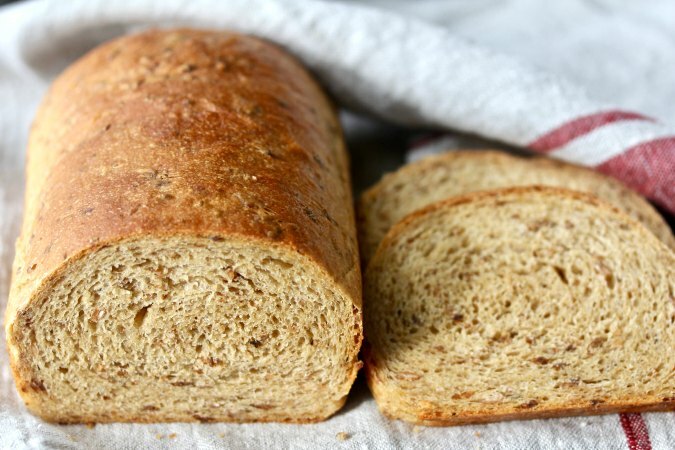 This bread includes barley malt syrup, malted wheat flakes, white whole wheat flour, and unbleached all purpose flour. If you can't find barley malt syrup, you can substitute molasses or honey. This bread takes just two to three hours to make, most of the time being hands off. The hardest part is waiting for the bread to cool before slicing it! Another true confession? I did sneak a slice while the bread was still warm and slathered it with some butter.... so good. While I baked this bread in a one pound (4 1/2 inch by 8 1/2 inch) loaf pan, I think it would work nicely and been a little less squatty in a 3/4 pound (4 inch by 8 inch) loaf pan. I just didn't happen to have one. What? A pan I didn't have? This month, the Baking Bloggers, hosted by Sue of Palatable Pastime, are going to England. Evidently Granary Bread is a big deal in England, so the minute Sue introduced this theme, I knew I had to make this bread. The amazing Baking Bloggers have all kinds of English baked goods for you to try! Add the water, barley malt syrup, malt flakes, white whole wheat flour, and the yeast to the bowl of a stand mixer. Mix with a large spoon and let stand, covered, for 15 minutes. Add the oil, salt, and about 2 1/2 cups of the all purpose flour. Mix on low with the dough hook, slowly adding more all purpose flour until the dough just begins to come together and pulls away from the sides of the bowl. Be careful not to add too much flour. Continue to mix the dough for another 6 to 8 minutes. Place the dough into an oiled bowl and cover with plastic wrap. Let rise until doubled, about 90 minutes. Deflate the dough, shape it into a log, and place it into an oiled 3/4 to 1 pound loaf pan. Cover it loosely with oiled plastic wrap and let rise 3/4 of the way to doubled. In the meantime, heat the oven to 350 degrees F.
When the dough has risen, place the pan in the oven and bake for 35 to 40 minutes, until the bread reaches an interior temperature of 190 to 200 degrees F.
Turn the loaf out onto a wire rack and let cool completely. Recipe adapted from the package of the malted wheat flakes from King Arthur Flour. A slice of this and some homemade jam and I would be a very happy woman! I KNOW!!! What is up with that! WOW - what a wholesome bread and must have had a great crumb. 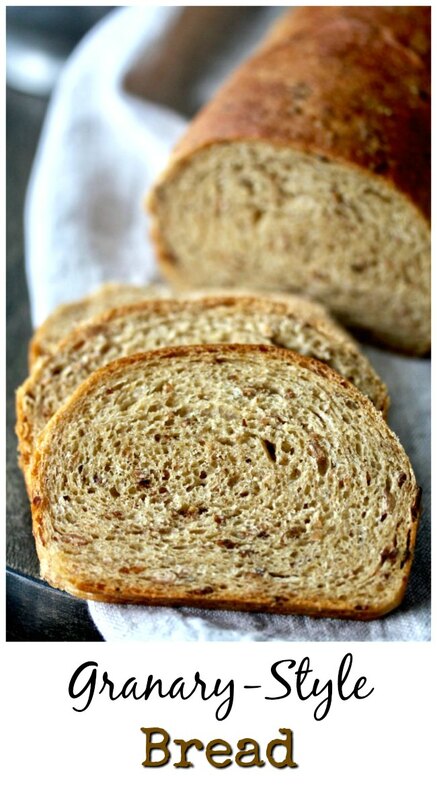 Looks so soft - great for a sandwich or I would also love French Toast with this bread! Wait, I have to wait for the bread to cool??? I don't think I can do that!!! This brings back memories! Not so much of the original Hovis, I admit, but local bakery granary loaves in the UK that are so good. This looks wonderful, I might have to hunt some things down to try. How fun! I love hearing that Caroline. I don't think I've ever had bread like this, but now I really, really want to. I'm not sure I'd be able to wait for it to cool either. It's just calling for a some butter or jam. Wish I could taste a slice of this beautiful bread Karen! I used to get this bread when I lived in Canada and in fact, when I visit family there, usually end up buying a loaf or two, and sharing it with family of course. Never thought of making my own though,hmmmm. You just might have to!